Our purpose is to provide information about Calico Early Man Site, it's history and archaeological studies. The organization, Friends of Calico Early Man Site, Inc., that originally developed the Calico Site has become no longer viable, organization info on this site is for historical purposes only. 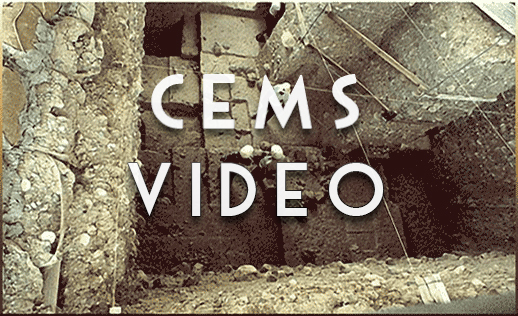 View the Calico Early Man Site video for a quick tour. CEMS is located about 15 miles northeast of Barstow, California, off Interstate 15. From the Minneola Road exit, follow the signs north about two miles on graded dirt roads to the site. Friends of Calico Early Man Site, Inc. Copyright © 2018 | Calico Early Man Site | All rights reserved.